Annual review traditionally held on occasion of the Day of Energy Industry Personnel is an important platform for demonstration of huge potential of national energy sphere, perspectives of its development, activation of international cooperation in this field. Specialized forum was organized by the Ministry of Energy and the Trade and Industrial Chamber. Number of the participants, which grows every year, indicates high dynamics of development of this industry, keen interest of foreign and local business circles in establishment of close partnership. Having rich natural resources and actively implementing ‘open door’ policy, Turkmenistan confidently expands international economic relations demonstrating rapid growth of national economy where electrical energy is one of priority directions. Gradual development of this key branch us based on important prepositions for successful solution of the objectives of rapid industrialization of the country, consolidation of its economic power and improvement of wealth of Turkmen people. 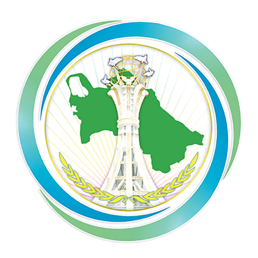 Leaders of the Mejlis, members of the Government, representatives of the ministries and departments, heads of diplomatic missions accredited in Turkmenistan, international and public organizations, representatives of foreign and local media. Multidimensional exposition has been opened in exhibition hall of the Trade and Industrial Chamber. The participants of the review include 160 representatives of the world energy companies, national profile structures and private business. The interest of foreign partners in the forum indicates the growth of investment attractiveness of this sphere among business circles. Dynamics of development of energy branch is demonstrated by large-scale projects in the country. Taking into account growing demand in energy in the context of the course of the country to rapid industrialization of the country, the Concept of Development of energy branch of Turkmenistan in 2013 – 2020 has been adopted. For these period, number of as turbine power stations have been built and put into operation in the country under this Concept. The specialists of the branch plan to open new energy facilities with total output capacity of 3,854 MWt on the territory of the country until 2020. Therefore, proposed level of energy production in Turkmenistan will reach 26,380,000,000 kWh by this time and the volume of exported energy will grow several times. Special attention of the guests and participants of economic review was attracted by the projects of construction of new and modernization of existing power stations presented at the exhibition. Stands with the models of modern power stations are the opportunity to look into the future of Turkmen energy industry. Model of 1547 MWt combined-cycle power station, which is under construction by the order of the State Energy Corporation on the territory of Mary hydroelectric power station has been presented at the exposition. After the commissioning of the power station, total capacity leading hydroelectric power station of Turkmenistan will grow twice but environment friendliness and almost non-waste production as well as saving of resources as it is not only gas but steam as well, which is to be used as a fuel, are the main advantage of the facility. At the same time, the efficiency output will grow 1.5 times from 34.2 to 57 percent while harmful emission will reduce 3 times. Consumption of fuel is also reduced. Realization of such projects indicates the commitment of Turkmenistan to widespread implementation of technologies with high resource saving and environmental safety indicators. Private companies, which successfully recommended themselves in construction of energy facilities, power lines, installation and commissioning works, make significant contribution to development of energy system of the country. Companies supplying modern electrical equipment and hardware, environmentally friendly technical innovations from famous manufacturers support the formation of modernized infrastructure of the branch. Leading world developers and companies specialized in production of related equipment has demonstrated their achievements, integrated solutions and ‘know-hows’. International conference “The Main Directions of Development of Energy Industry of Turkmenistan” was held in the conference hall of the Trade and Industrial Chamber. Representatives of the ministries and departments, specialists of scientific and research institutes of the country, heads of foreign companies, experts and analysts, managers from many states took part in the conference. The speakers highlighted that energy policy of Turkmenistan has outlined the priorities of development of national energy sphere in next decades as well as specific measures for further integration of the country to the world energy system. Special emphasis in the speeches was laid upon large investment projects of construction of interstate and international power lines, implementation of advanced technologies in construction and reconstruction of energy networks, systematic solutions for computerization of energy consumption calculation. The attention has also been paid to development of alternative energy and creation of innovative energy networks, audit and monitoring of equipment condition, energy facilities and management systems. International exhibition in Ashgabat will last until September 8.